Plant lovers, eat your hearts out. 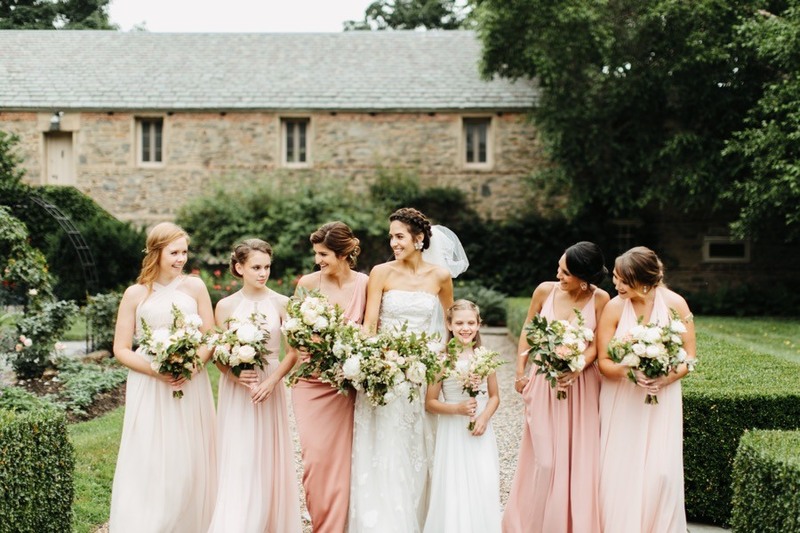 It’s not exactly typical to think of Philadelphia as boasting a plethora of gardens and green spaces — but as it turns out, pretty foliage and floral-filled wedding venues are actually abundant in and around this metropolis. From tucked-away gardens to the rolling hills of historic estates, we’ve actually got some of the most beautiful green venues around. Whether your thumb is green or not, these garden and greenhouse venues will make sure your special day is as enchanting and captivating as the wildflowers, roses, and succulents around you. 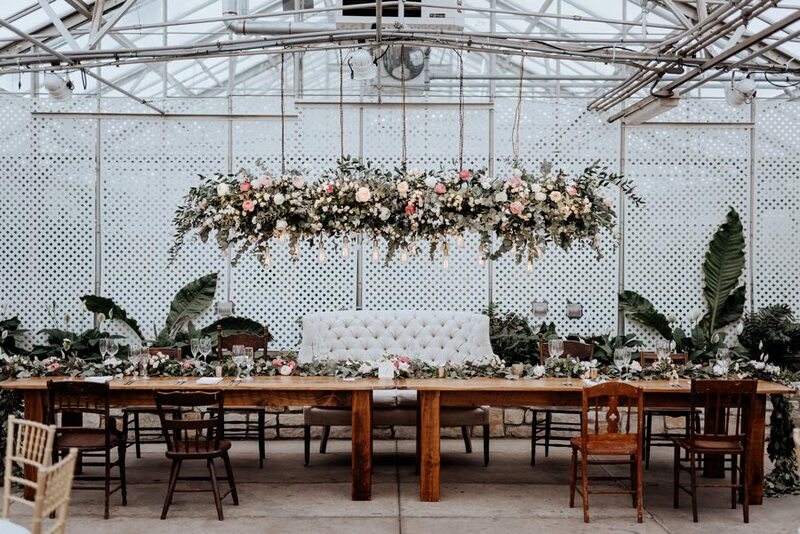 Read on to see some of our favorite garden and greenhouse venues, then head to our wedding vendor directory to explore even more wonderful Philadelphia wedding venues. Even the name of this garden venue sounds enchanting. Andalusia offers only four weddings a season, which runs from June to the middle of October, and this makes it all the more special and prestigious to have your wedding here. Andalusia is a protected National Historic Landmark, and part of the specialness of this place is the Wall Garden, a secluded and beautiful space that will make your wedding feel intimate and magical. Rental fee for the location is $15,000 and all other costs vary. If you plan to have a summer wedding, then the gorgeous azaleas, rhododendron, dogwoods, and magnolias of this garden will serves as the perfect backdrop. May is the ideal time to witness these blossoms, but the venue has Japanese and sugar maples that bloom with wonderful fall color as well. 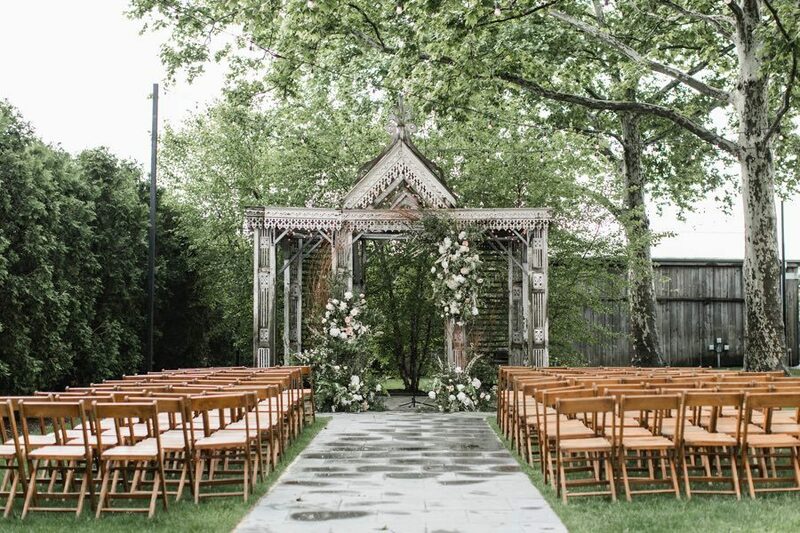 Whenever your wedding day is, this 221 acre location offers a barn ruins garden or West lawn with a weeping cherry tree for your ceremony, and a beautiful reception tent right next to their 1750 estate house. 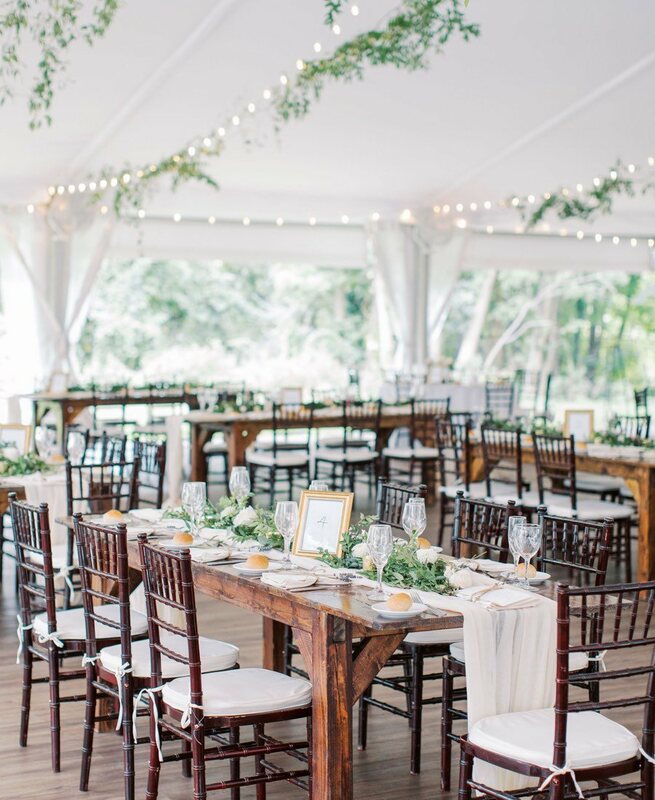 Venue cost is currently $5750, which includes tent, ceremony chairs, farm tables & chairs. 100 East Northwestern Avenue, Chestnut Hill. 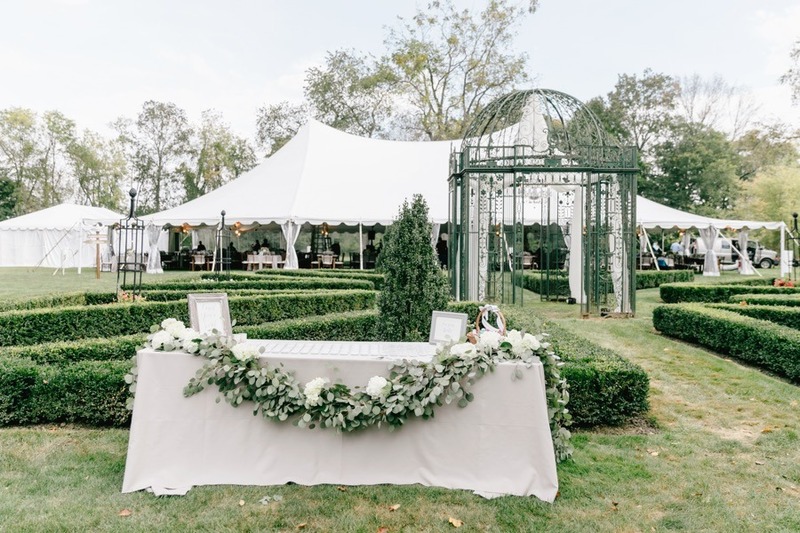 With over 13,000 labeled and documented trees and shrubs, your wedding will be fully encapsulated in green at the 92 acres of the Morris Arboretum. From oak to maple trees, to rose and magnolia plants, this arboretum is blooming with garden wedding possibilities. If you’re looking for romance, the Rose Garden is the pride of the Morris Arboretum and is in full bloom in June. The fee typically includes exclusive use of the Visitor Center and grounds, reception tent with hard surface floor and lighting, tables and chairs for up to 175 people, and a golf cart and driver to transport you around the grounds for photos. Prices vary. 5105 Kennett Pike, Wilmington, DE. This 77-acre green space is teeming with a multitude of noteworthy flora. Winterthur is known for its thousands of azaleas and this collection has been carefully cultivated and maintained for over a century. Near the Reflecting Pool is the location’s famous Dove Tree, a rare tree collected in China at the beginning of the 19th century. In early May the tree flowers with thousands of enormous white petals and creates a surreal and enchanting backdrop for any wedding. In addition to dream-like outdoor spaces, Winterthur offers various location for receptions and parties, such as the Visitor Center Patio, either al-fresco style under string lights or under a tent, Galleries Reception Atrium, equipped with massive floor to ceiling windows, or the Visitor Center Pavilion which has windows that overlook the gardens. Prices vary. This wedding venue is like rustic chic meets Victorian era, from the bronze horse statues at the gate to the cobblestone courtyard and pretty lotus pond. The property consists of 31 acres and hosts a wide variety of trees and foliage such as ash, sycamore, and tulip trees, wisteria, hydrangea and roses. The Inn can hold up to 300 of your guests and couples can choose to have their receptions in a white event tent or the barn on the property. Prices vary, so check out their website to see all of the wedding packages and amenities that they provide. 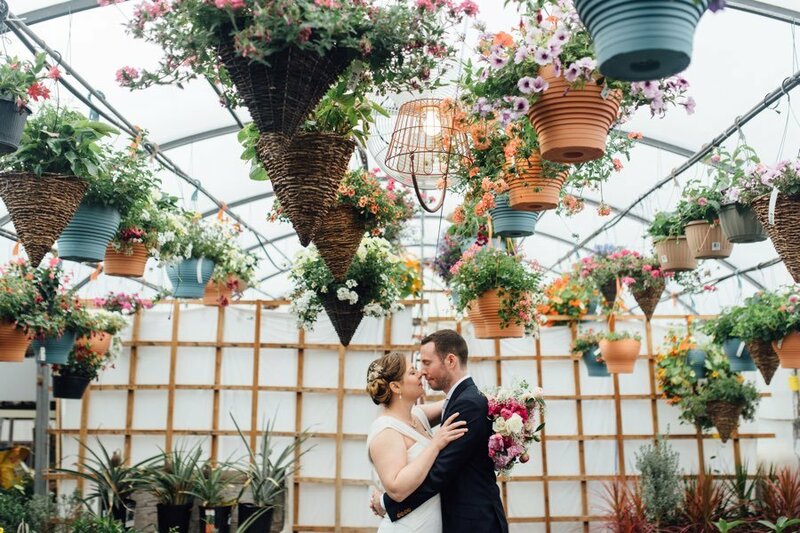 If you have an absolute love for plants and all things green, then Ott’s might be your ideal wedding venue. Boy, do they have plants: from tropicals, to cacti, to succulents, a mountain of mums, flowering cabbages and kale, ornamental peppers, and towering trees that graze the ceiling, this place won’t leave you wanting for more foliage. Ott’s hasn’t held many weddings but they do make exceptions for people who have a passion for plants that matches theirs. Ott’s has facilities that can accommodate weddings in all seasons; they have a fifty-foot conservatory to keep you sheltered in winter. Prices vary. 2501 E Cumberland St, Olde Richmond. This urban garden venue is very charming, very unique, and very Philly. Greensgrow Farms is a non-profit organization dedicated to promoting community green spaces and food access, and a popular spot where many Philadelphians visit. This awesome mission is only matched by their awesome outdoor space and greenhouse. Couples can choose to have their ceremony in either location. Best to have your wedding here between the months of June to September when their hydrangeas, magnolias, and abelias are all in full-bloom. Typically, $4,000 gets you the entire 35,000 ft. green space. 321 South 4th Street, Society Hill. 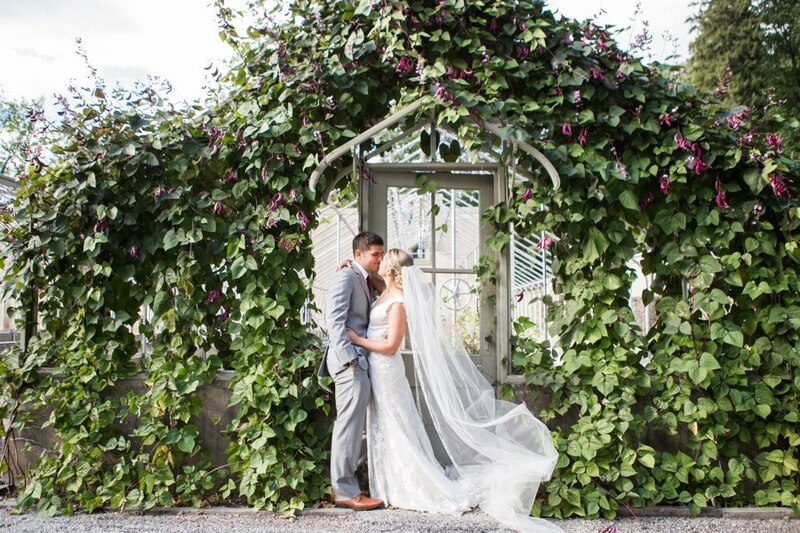 Elegance is taken to a whole new level at this stunning historic garden venue from the 18th century. The Hill-Physick House is the only free-standing Federal townhouse remaining in Society Hill. The brick foundation and intriguing French-influenced Neoclassic furnishings are truly something to be admired. The garden itself makes you forget that you are in bustling Philadelphia, with its meandering path, draping greenery and serene fish pond. A fun fact about the garden is that it holds plants that are from the same era the house was built in 1786! The garden can fit up to 100 guests, with an option for a tent rental. Prices vary. 244 South Third Street, Society Hill. Even older than Physick House is the historic Powell mansion which was built in 1765. This home used to entertain the political elite such as George and Martha Washington, Benjamin Franklin, and John Adams. 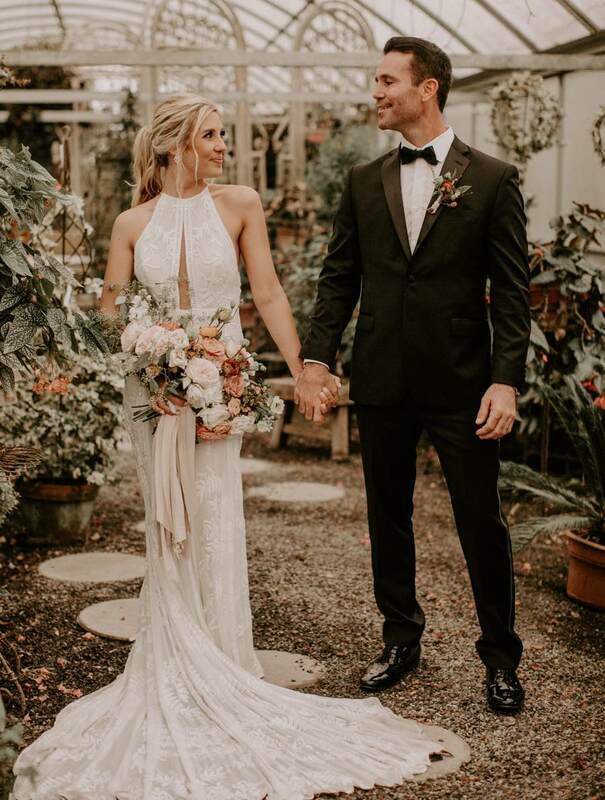 Now today, the garden, with its brick pathway, lush greenery, and perfectly landscaped plants and shrubs, makes for an idyllic scene for you and your wedding guests. The green space can hold up to 100 guests, but more intimate parties of 50 or less people can enjoy the interior of the elegant mansion. Depending on when your wedding takes place, prices can vary, but typically range around $1,250 to $2,500. 5400 Lindbergh Boulevard, West Philadelphia. This classic city garden is a perfect place to host your Big Day. 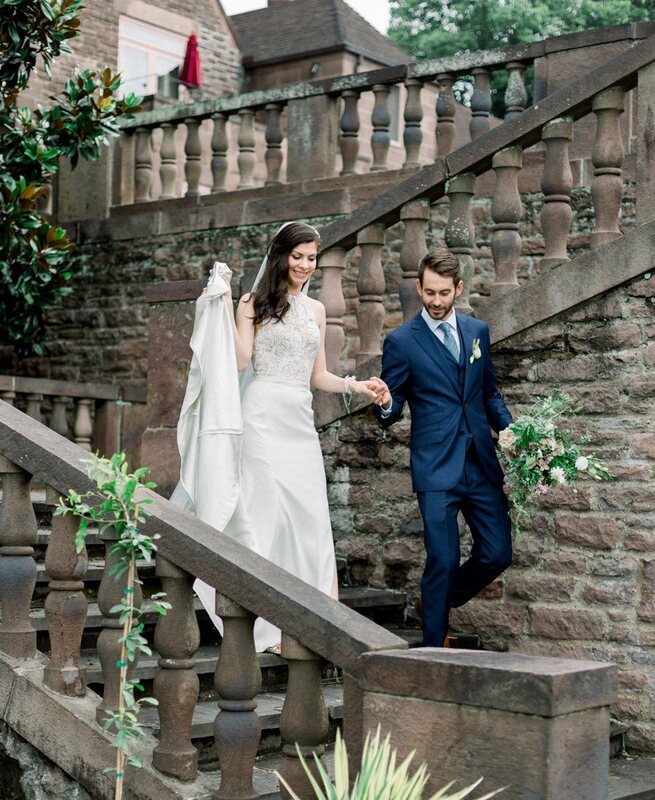 The fame of this Garden has led local dignitaries, city officials, and stylish and well-established Philly business leaders to choose Bartram’s for their wedding destinations. In addition to its historic nature, it’s home to incredible and rare plant species, from the Franklinia, named after Ben Franklin and one of the garden’s signature attractions, to the Bartram oak, named after John Bartram himself. Surrounding yourself with this stunning variety of unique plant species will make your wedding day all the more special. The entire green space is 45 acres and their new beautiful reception pavilion can hold up to 325 guests. Prices for wedding packages vary, but typically range from $168-$196 per person. 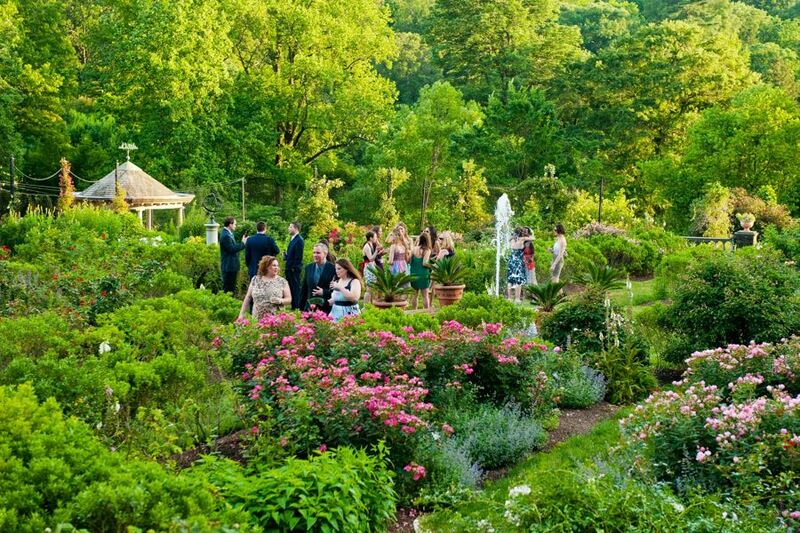 With multiple gardens and 650 acres of rolling meadows Tyler Arboretum can provide you with tons of space for your dream wedding. Choose from options like the Magnolia Garden, Lilac Garden. Butterfly Garden, or The Old Arb for the ceremony. The Arboretum also features an extensive horticulture collection including magnolias, cherries, crabapples, hollies and lilacs, as well as 11 acres of rhododendrons and azaleas. They can provide a reception tent, access to Stone Bank Barn, and a personal event planner who will help make sure you and your guests have a magical time. Venue rental ranges from around $2,400-$5,500 depending on the month and day of the weekend chosen. Looking for a natural wedding vibe for your wedding? Then look no further than the John James Audubon Center. This pretty, sprawling park venue has 60 acres of green space with deciduous and conifer trees and also a historic orchard for the ceremony. The reception dinner can be held in the on-site pavilion, but the venue is adding a new Visitor’s Center in June where receptions can be held as well. Cocktail hour is unique here because in addition to enjoying splendid martinis and the picturesque landscape, guest can also gawk at the non-release birds that sometimes soar over the party. Prices vary. North Horticultural Drive and Montgomery Avenue, West Philly. Located in beautiful Fairmount Park on a former 1876 Centennial Exhibition spot, this Philly spot can’t be beat. The space is positively teeming with plant life. In addition to both indoor and outdoor spaces, the Horticulture Center has an expansive open greenhouse, reflecting pool ,and modern exhibition hall for your guests to enjoy. The center also has an exclusive caterer that will craft delicious locally-sourced meals for you and your guests. The indoor spaces can hold up to 300 people for dinner and dancing and outdoor tented events can host even more people. And keep in mind: spring is an ideal time to have your wedding here because that’s when the outdoor cherry blossoms are in full-bloom. Prices vary. This 200-acre estate and five acre garden is a wonderful culmination of French, Italian, and Philadelphian influences. 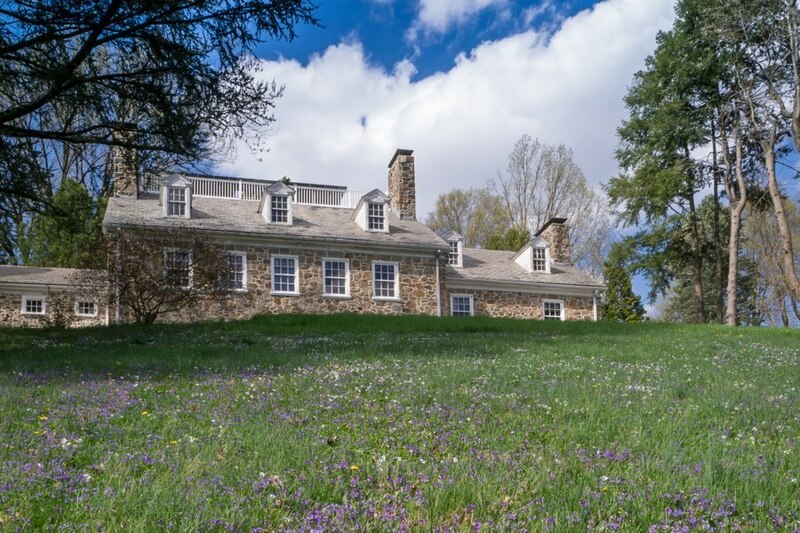 The Tyler Mansion and gardens stand as hidden gems in Bucks County and have the capacity to transport guests and visitors back to elegant bygone eras. In addition to bronze statues and a stunning collection of flora, the garden also contains stone walls and staircases that serve as the structure and “bones” of the garden. The prime time to book your wedding for is in the months of June and September or October. Typically the rental fee is around $4,000. 914 Baltimore Pike, Glen Mills. If you are looking for a quintessential bohemian rustic wedding theme, then look no further than Terrain at Styer’s. In addition to being a cafe and shop, this garden venue has multiple spaces to host your wedding party, including a blooming nursery and a mushroom house for an adorable bridal suite. They have a restored barn as a ceremony backdrop and farm-to-table curated dining menu, and beautiful sycamore trees line the ceremony gardens to give your nuptials a more intimate feel. Plus, the location is ever-changing with the seasons, so no matter what time you have your wedding (like this gorgeous Christmas wedding!) the foliage will accommodate your day with a guaranteed gorgeous scenery. Terrain can hold up to 110 guests with room for dinner and dancing. Prices vary. Even though it’s slightly closer to Philadelphia than its Glen Mills location, the brand new Terrain at Devon Yard maintains and expands upon its beloved country garden vibe. After the ceremony, feel free to cozy up next to Terrain’s signature fire pits or enjoy a tasty treat at the s’mores station. In addition, they offer a variety of packages from rehearsal dinners, to groom’s packages, send-off brunches, and engagement parties. This space can hold up to 140 people for dinner and dancing and up to 200 standing guests. Prices vary. 1020 South Street, Bella Vista. 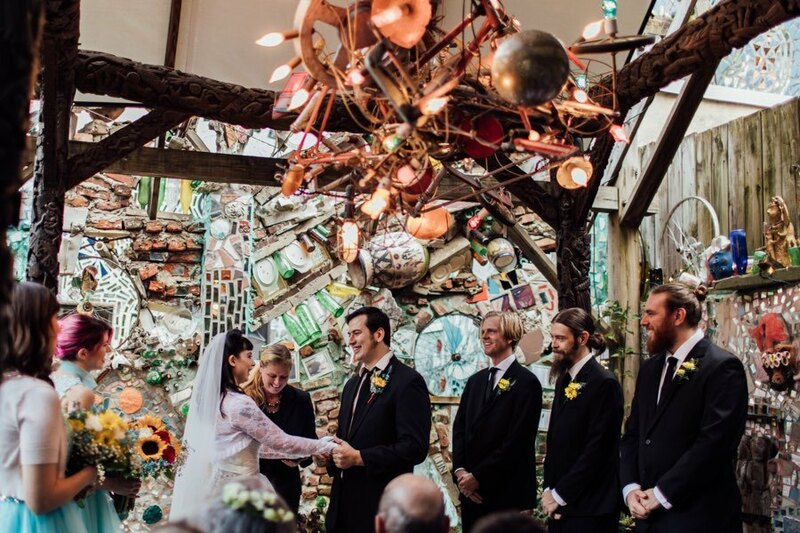 If you are looking for a garden venue with a splash of Philadelphia and a touch of the unconventional, then Magic Gardens has got you covered. Here you won’t find towering trees or fresh foliage, but rather sparkling mosaics and unique sculptures. Created by Isaiah Zagar, the Magic Gardens are unique attraction to Philly and are sure to add texture and color to the backdrop of your wedding day. Guests are allowed to utilize both the outdoor labyrinth space as well as the indoor gallery. Prices for venue rental typically range from $300 to $500 per hour, but can vary. 1810 N Dupont Street, Wilmington, DE. 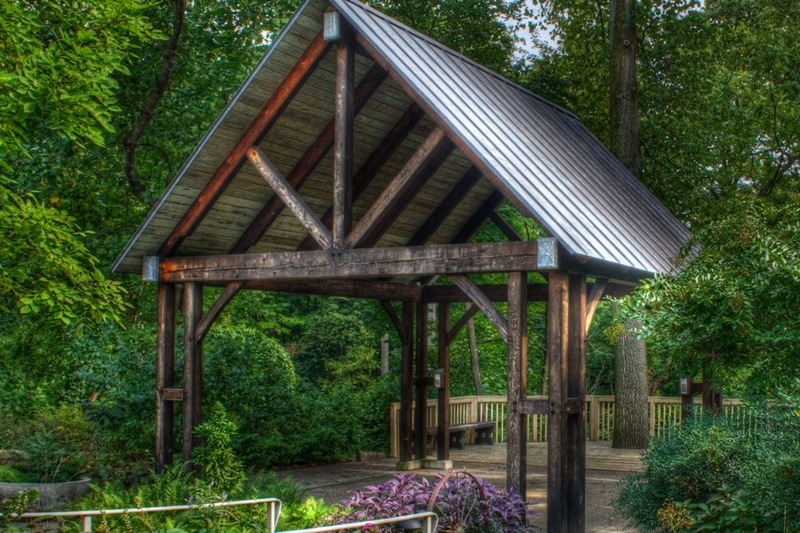 The Delaware Center for Horticulture is truly a hidden gem in the garden-wedding-venue department. 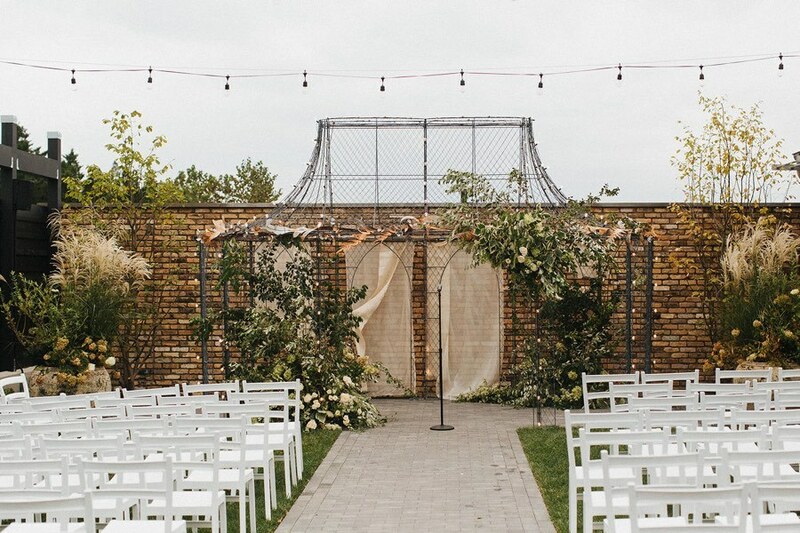 This space is a pretty urban and garden blend and offers both indoor and outdoor elegant settings for your wedding day. Indoors they provide a Historic Founder’s room with the original hardwood floors, exposed beams, and brick walls, which can hold about 100 guests. Additionally they have a gorgeous atrium, that is perfect for cocktail hour, with concrete floors and a glass ceiling to give the room a greenhouse feel. Outside, the center has a courtyard that your party will love to mingle in with small gardens, brick walls and a wrought-iron fence. A variety of colorful, ornamental grasses grace the gardens, and featured plants include purple muhly grass, a variety of witch hazels, magnolias and hydrangeas. For the ceremony, there is a large deck with a magnificent tree growing right through it that brings nature to the heart of your wedding day. The garden’s peak season is from the months of May to November and rental cost during this time is typically $3,000, but can vary. 60 Thompson Mill Road, Wrightstown. If anyone knows anything about gardens, it’s Hortulus Farms and Nursery. Their gardens, full of exotic and native plants, are not only well-known, but also award-winning. In 2015, Hortulus was received the honor of Affiliate Garden of The Garden Facility. And it is easy to see why this place is nationally acclaimed with over 200,000 daffodils, narcissus, bluebells, native dogwoods, and more. This place is not only an expert on gardens, but weddings as well. This 18th century, 120 acre property can hold both your reception and ceremony. Their most popular wedding season is April through September and $8000 is the typical rental cost.